This versatile product assists in the prevention of incorrect spinal alignment stabilising the trunk to maintain a mid-line position. 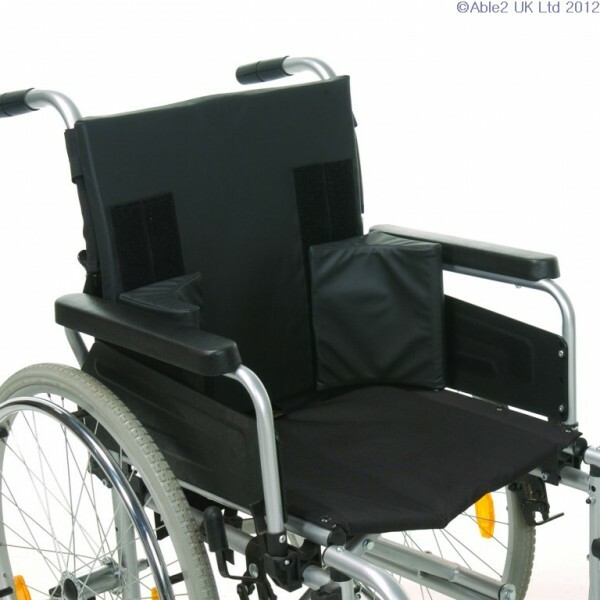 – Simple to adjust lateral supports using multi-way touch close fastening – Integral rigid plate with soft polyurethane foam topping – Fits most chairs and wheelchairs – Easily fitted using two elasticated buckled straps – Removable, multi-stretch, waterproof cover – Size: 43x43cm (17×17″) Lateral Supports 20cm (8″) Customised Sizes Available On Request. If this product is showing as out of stock (red dot), please note that as we manufacture this product on site it can normally be manufactured and available within 2/3 days of receiving your order.